If you're into baking you will have no doubt heard of Katy Sue Moulds for cakes and baking projects. Katy Sue is a UK company and as you would expect, the quality of the moulds is absolutely amazing. There are also tons of designs to choose from - all of which offer the avid (or not so avid) cake maker a chance to enhance their creations with style. From Buttons Moulds to Design Mats you'll find it all at Craftrange too! Why not take a look at our current range or if you want other baking supplies, take a peek at the baking section of the website? You'll find our prices offer great value and we pride ourselves on a great service to customers! 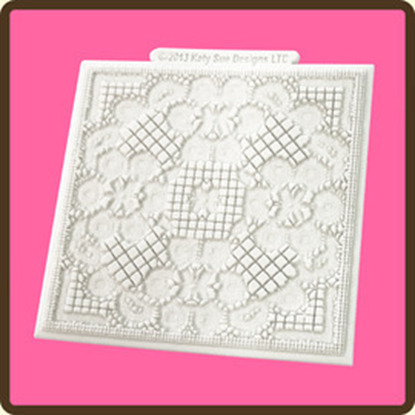 Katy Sue 4 x 4 Design Mats Great quality design mat from Katy Sue that's ideal for cake decorating and crafts. 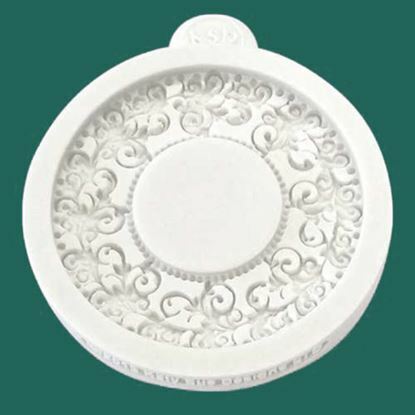 Katy Sue Designs Embellishment Mould - Miniature Frame Vintage Circle Highly detailed miniature vintage circle frame mould. The Will produce an approx 1 ¾ inch ornate frame. Perfect for cake decorating and card making. 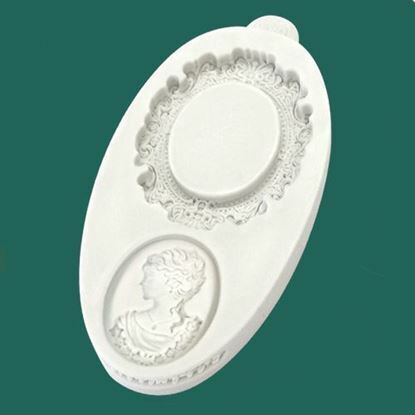 Katy Sue Designs Embellishment Mould - Miniature Frame Oval Cameo & Oval Frame 1 Highly detailed mould of a miniature ornate oval frame and separate cameo lady that faces to her left. Will produce an approx 2 inch ornate frame which will house both the cameo from this set or the cameo from set 2. Very versatile vintage set as components can be used separately or together. Perfect for cake decorating and card making. 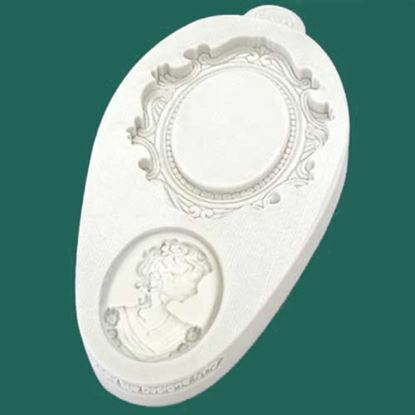 Katy Sue Designs Embellishment Mould - Miniature Frame Oval Cameo & Oval Frame Highly detailed mould of a miniature oval scroll frame and separate cameo lady that faces to her right. Will produce an approx 2 inch ornate frame which will house both the cameo from this set or the cameo from set 1. Very versatile vintage set as components can be used separately or together. Perfect for cake decorating and card making. 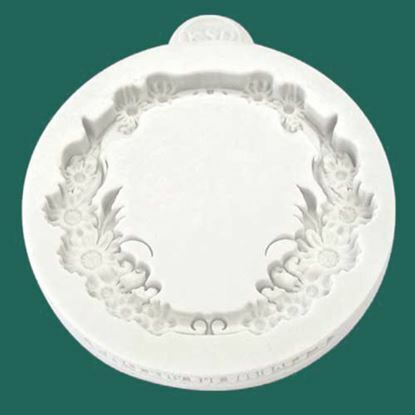 Katy Sue Designs Embellishment Mould - Miniature Frame Floral Circle Highly detailed miniature floral circle frame mould. The Will produce an approx 2 ¼ inch ornate frame. Perfect for cake decorating and card making.